GPS / GLONASS hardware section on the Gurtam official site is one of the most complete and established catalogs of GPS tracking devices in the Internet. In recent times we’ve received а lot of letters with help requests about the hardware for tracking. It’s quite understandable because more than 310 models of trackers are listed on our site, that’s why it is complicated to choose the best one. Our decision is to help all those who would face such problem. As the result we’ve implemented the proposal of Gurtam forum members and introduced the device ratings. Now in GPS Hardware section two rankings will be shown next to each model of tracker. One of them is User Rating based on site visitors’ opinion. Voting is anonymous, besides the number of votes from one IP-address is restricted. The second rating is Gurtam Rating. It reflects not only users’ feedback, but also the opinion of Gurtam technical experts, the quality of hardware integration into Wialon system and the availability of direct contact between the manufacturer of the equipment and Gurtam staff. 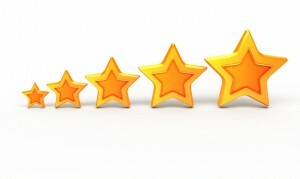 The presence of two ratings ensures the objectivity of evaluation. Also it gives users the ability to make up their minds not only on specific tracker characteristics, but as well the reliability of its work with Wialon. In case of any doubts, there is always a possibility to discuss any device on Gurtam forum. At this point, after Gurtam staff set all their votes and the first users’ votes were obtained, Galileo car controller became the leader. The manufacturer can be proud of the following results: the average score is 8.6 (according to the rating of 91 users). Gurtam is always ready to provide all the necessary information to help you make a successful choice!